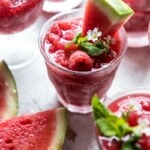 I made us the perfect frozen summer cocktail! I have a list full of fun summery cocktails to share with you guys, but since I just returned from a trip to Mexico, where margaritas are an everyday kind of thing, this one seemed so fitting. Over the course of the five days I was in Mexico we had strawberry, mango, and pineapple margaritas, but I’ve had these cantaloupe margaritas in my back pocket all summer long. I wasn’t able to make them for the family while in Mexico, but I will welcome them home with them tomorrow! Speaking of being home, yeah!!! I will probably always be one of those people who just loves coming home from vacation. I love my little barn, my kitchen, and let’s just be honest here, I love working and totally missed it. I know, I know, freak! Not sure what you guys are up to today, but oddly, I am hoping some rain rolls through our super dry Colorado town. We have some scary wild fires around us, and there have already been some evacuations south of here. I don’t normally ask for rain, but in this case we truly need it. Whatever you have in store for today, I am feeling like your Saturday could for sure use a margarita, YESS. If there’s on thing I learned in Mexico, a good margarita (or paloma) should be the ending to every day…or at least that’s how my family did it, but then again they are a wild crew…. Anyway, I’m loving these fun summery cocktails. 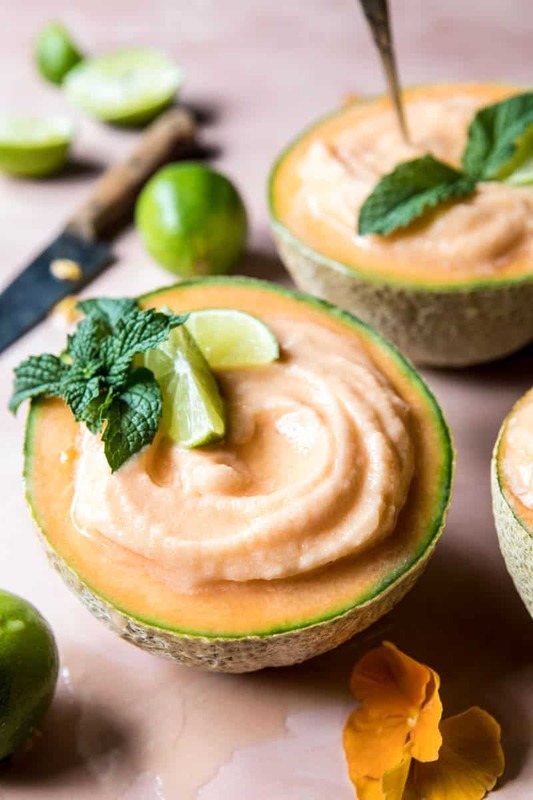 First of all, how cute are the cantaloupe bowls? I love the idea of drinks served in fruit, so clearly I am all over these! 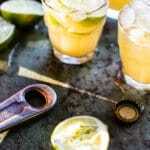 The cocktail itself is a simple mix of frozen cantaloupe, coconut, good tequila, lime, and a little agave or honey for sweetness. 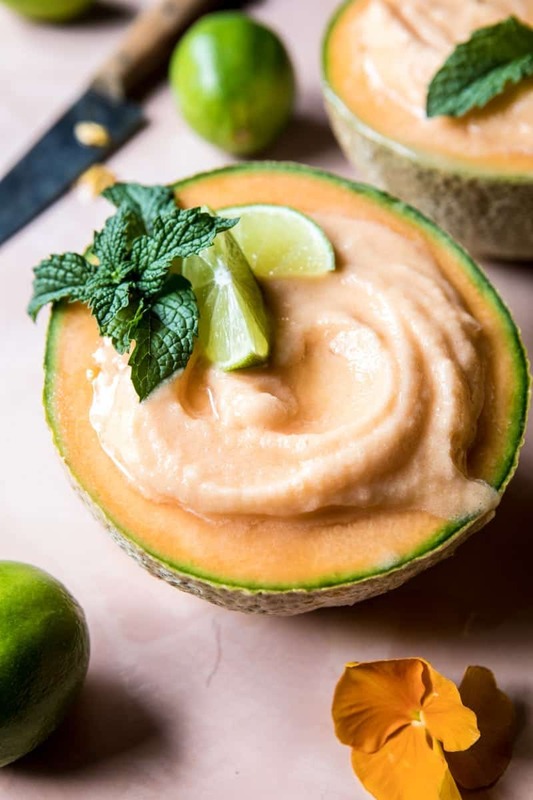 Super simple, but that allows the cantaloupe, coconut, and tequila to really shine. And the the whole frozen aspect? 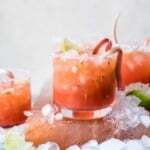 Trust me, with these hot summer temperatures, nothing can beat a frozen margarita! 1. Slice a thin piece of rind off both ends of cantaloupe so that it can stand upright. Cut in half horizontally and remove seeds. 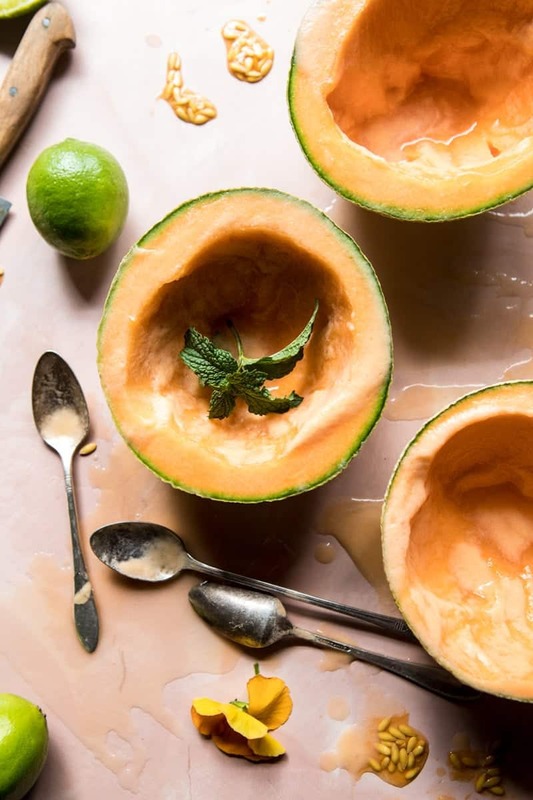 Scoop out flesh and set aside, save cantaloupe halves. 2. 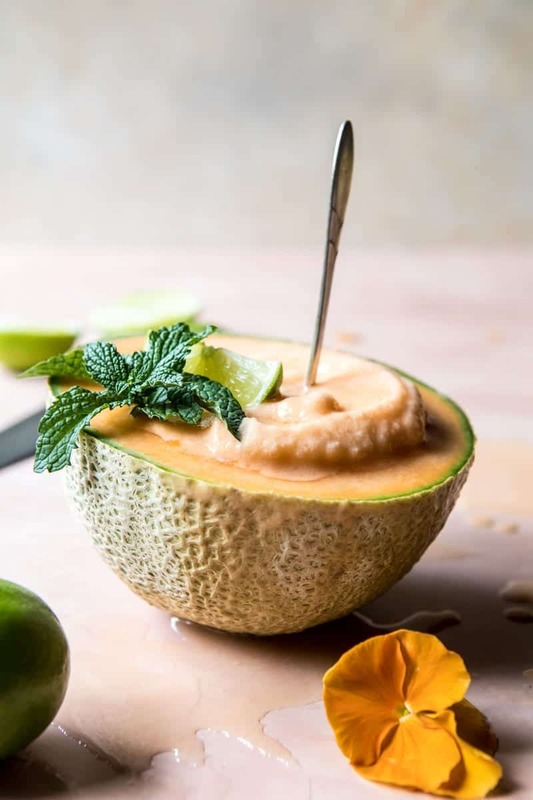 In a blender, combine the cantaloupe, coconut milk, tequila, lime juice, Cointreau and agave, pulse until smooth. If needed, add ice to get a slushy consistency. 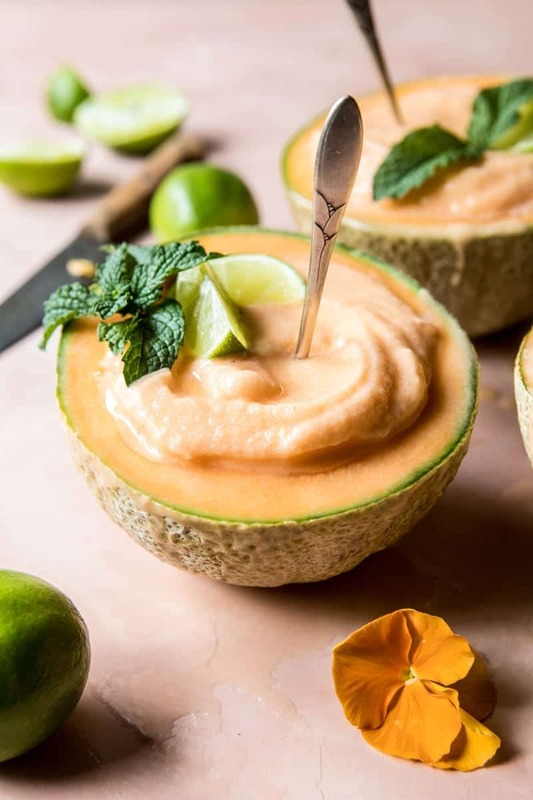 Divide between cantaloupe bowls (halves) and drink! Hummm… this looks deliciously helthy. Thanks for the tip. Yes! I hope you love them! Thank you Alison! This looks great! Do you drink with spoon or straw or both???? Hope you enjoyed Mexico and thank you for this beauty ! 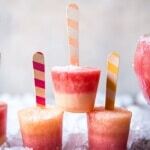 A frozen margarita sounds like the best thing ever right now! I just love this! Hope you got one or something similar!! Thanks girl! 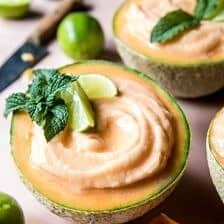 i totally agree everything should and with a margarita or a paloma and these canteloupe babes look perfect! YES!! Everything is much better this way! Thanks Racheal! How cool is this?! What a great idea!! 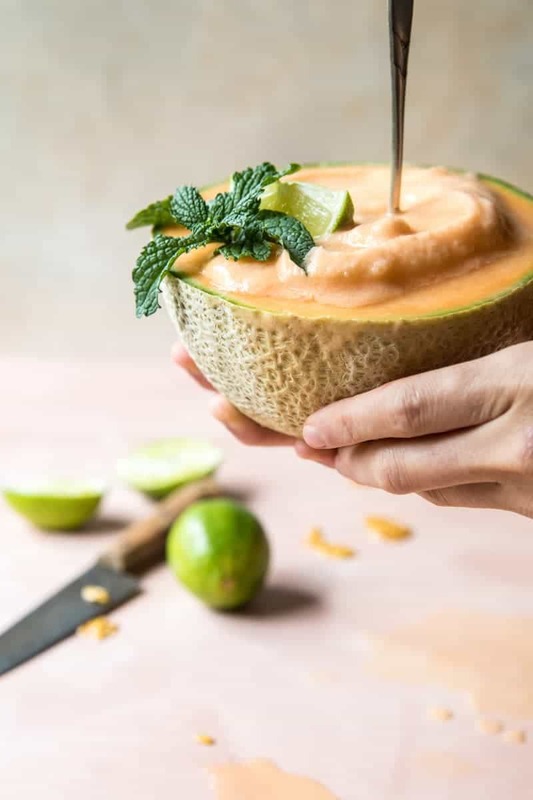 I can wait to try the Canteloupe Rita. Here is a twist. Instead of a peach Bellini, how about a Canteloupe (The Tuscan one) Bellini. The peach Bellini is made from champagne, peach brandy, light rum, frozen. 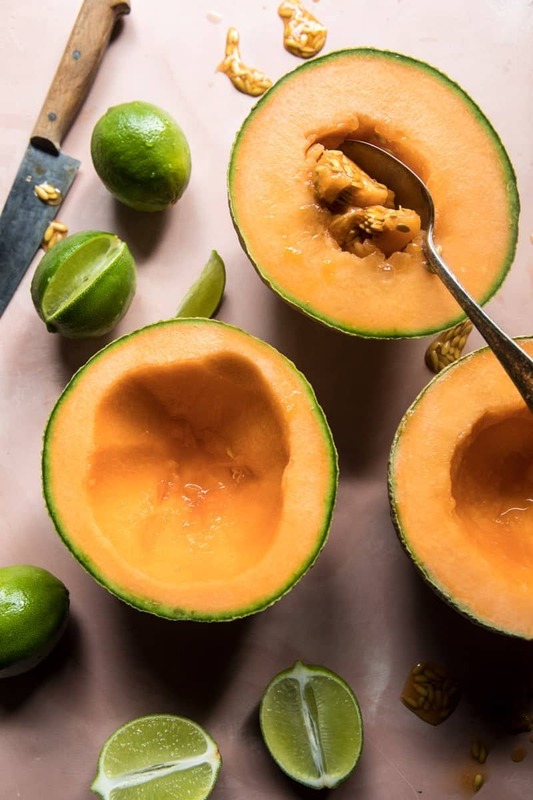 I bet you can kicjk that up to a notch with using Canteloupe. Ooo that sounds like a great idea! I might be trying that soon! I hope you love this cantaloupe marg Russ! Thank you!